A beautiful juxtaposition of revived classics with new age silhouettes, Pallavi’s line was a perfect tribute to the woman who treasures heritage and yet likes to be keep up with trends. 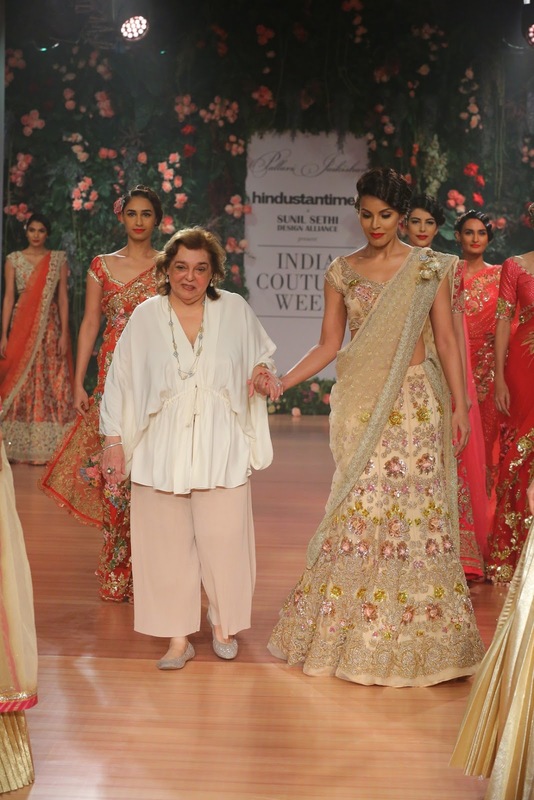 Veteran designer Pallavi Jaikishan opened day two of the coveted India Couture Week 2018 with her collection Nostalgia — a line that showcases her classic old designs modified to resonates with the woman of today. [post_ads]Tulle, georgette duchess satins, French lame were some of the fabrics used in making the timeless collection. 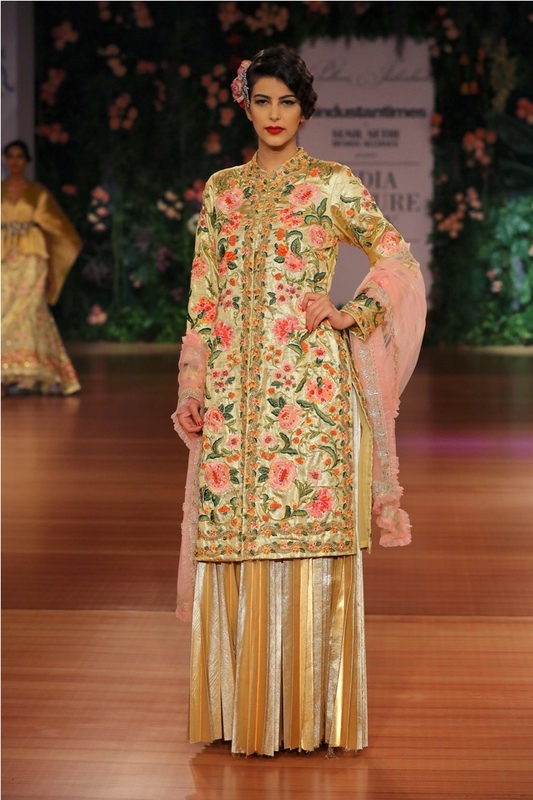 Pallavi also attempted to bring back old favorites like the kabja, to be worn on blouses teamed with lehengas and sarees. 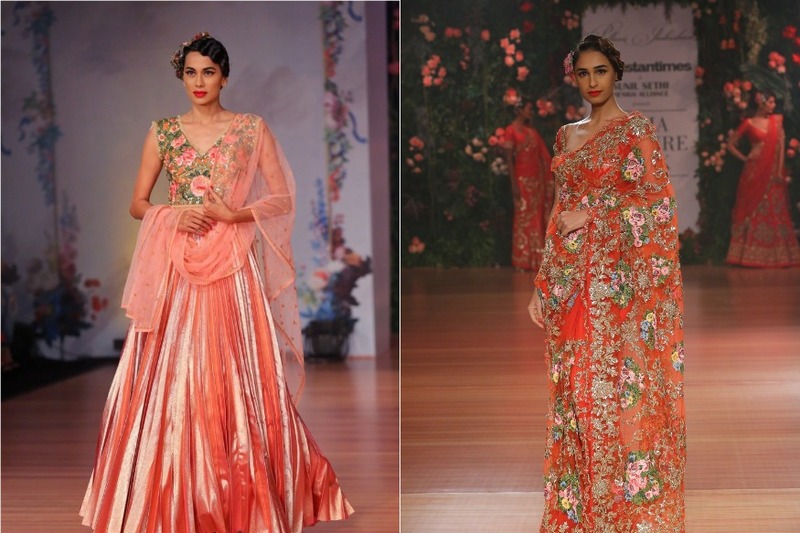 From four circle ghagras with can-cans to slim straight falling lehenga skirts with blouses, shararas, jackets and a wide range of sarees, the collection featured a vast variety of silhouettes. [post_ads]The colour palate of the collection reflected the classic theme reinvented to showcase a more modern line. The colour story moved from metallic tones in various shades of gold and silver, dove blue, old rose and silver oyster with a touch of pink to the French and Italian brocade presented in shades of cerise and cranberry reds. 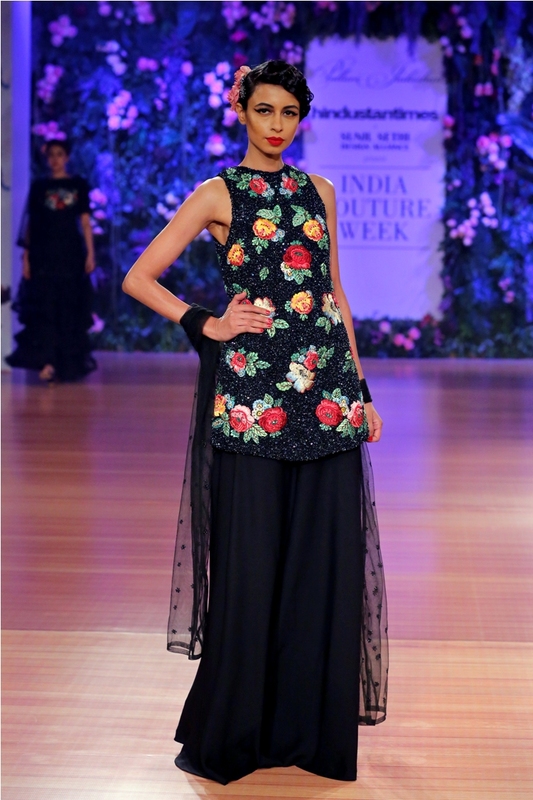 Pallavi’s collection Nostalgia truly was the perfect blend of classic with modern.